1789 – George Washington was unanimously chosen to be the first United States President. Now look how far America has come. Aren’t you glad you don’t have to get your feet and pant bottoms all wet and dirty anymore? 1948 – Alice Cooper was born. Find out more about him here. 1957 – The Smith-Corona Manufacturing company started selling electric typewriters. Oh boy, look at that sucker move. Lightning fast! 1997 – Apple Acquired NeXT, and Steve Jobs makes his return to Apple. Steve Jobs owned the NeXT company which created the OpenStep OS. Apple purchased NeXT to build what became OS X (“ten” not x). Eventually, Gil Amelio’s poor management of the company after Jobs was dismissed from the board, led to Apple’s stock plummeting to an all-time low in 1996. Jobs quickly convinced the other board members to let him back as interim CEO and dismissing Amelio. And the rest is what they call history. If you’re old enough to remember this game, it was the best simulation game at that time. I know, I know… what about GTA? Well, let’s face it, GTA was released in 1997, so in those 3 years EA with Maxis, had plenty of time to make their product look better and target a different audience. Since its initial release, The Sims has put out about 10 renditions of the game, each with a different theme. 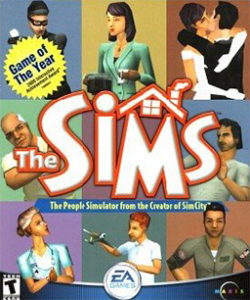 The Sims became the best-selling PC game in history. I guess people like pretending to be other people. Here’s a video about it. 2004 – Facebook, initially called “Thefacebook,” was launched. Who knew that Mark Zuckerberg’s small social networking idea would become a global phenomenon and impact the way the world shared and connected. You might like it or even love it!